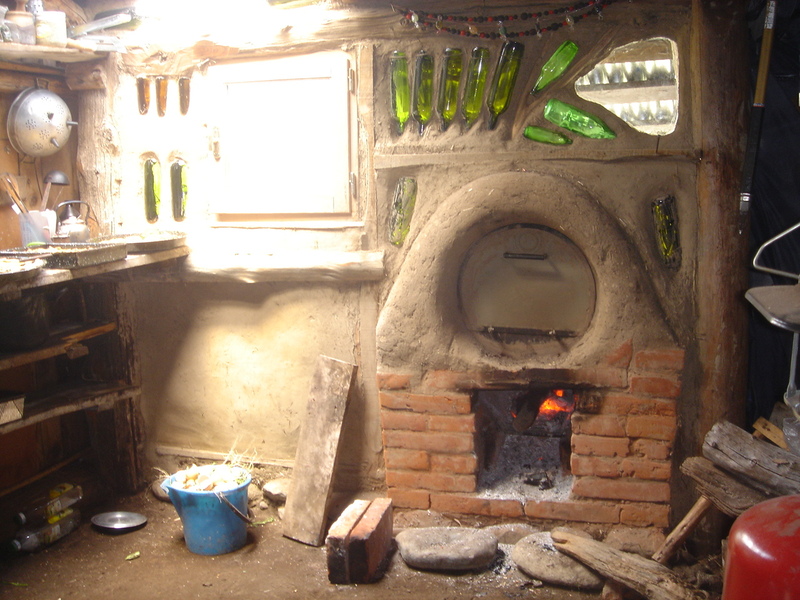 During a weekend workshop we built this barrel oven and then filled in the walls and put in the window during the following days. It is part of a slow but exciting transformation of the “ranchito” into our community center. We didn’t have any idea how much building this oven would change our life! There’s the obvious luxury of now being able to bake bread, pies, cookies, etc., – we’ve also discovered that by shortening the long fire box by placing bricks just inside, we can transform the oven into an open fire place. 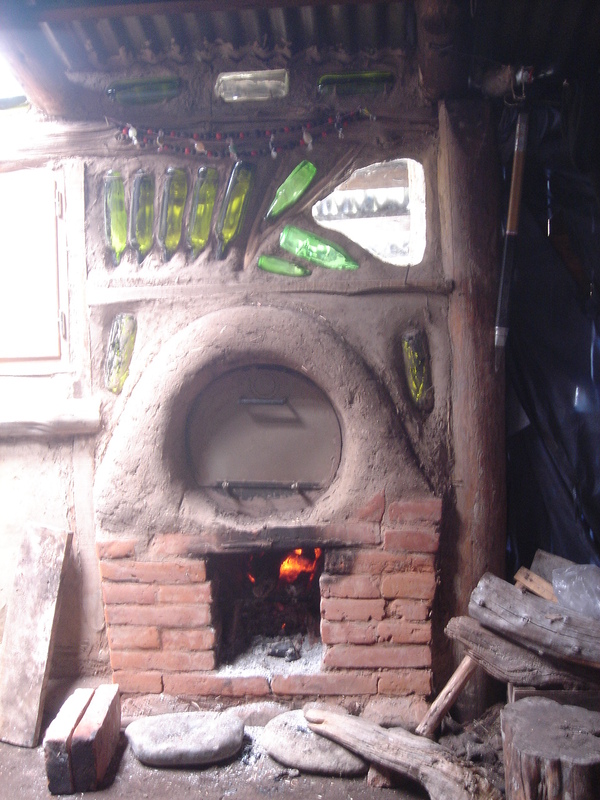 This oven is built around a modified metal oil drum (hinges, shelves inside) and combines both cooking from the direct heat of the flame into the barrel tempered by a layer of the sand and the slower cooking of the entire mass as the whole oven heats up (like the traditional hornos). 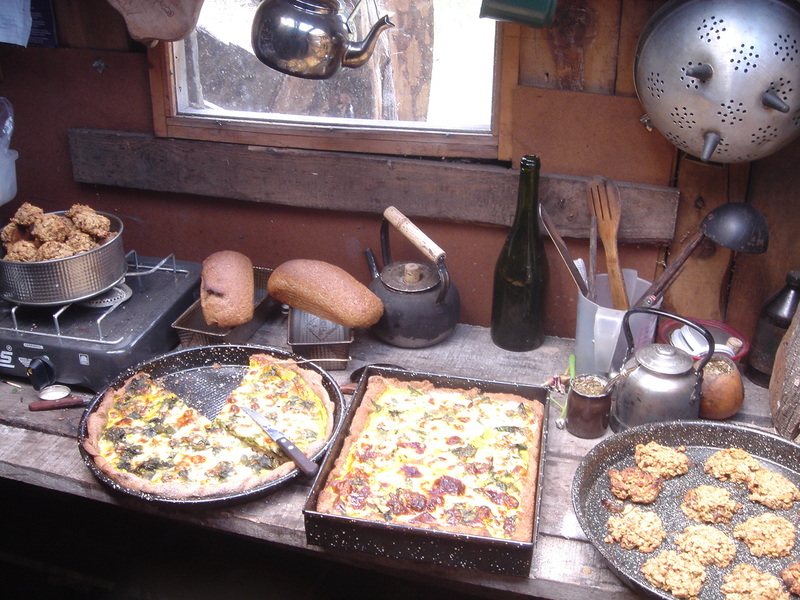 The process of building this wood-fired oven and recently another one at our neighbors� reminds me of what a great addition to community living an oven offers. Both the process of building and the weekly or semi-weekly firings are events that bring us together and feed us in one way or another. yum! i want to come over for dinner!